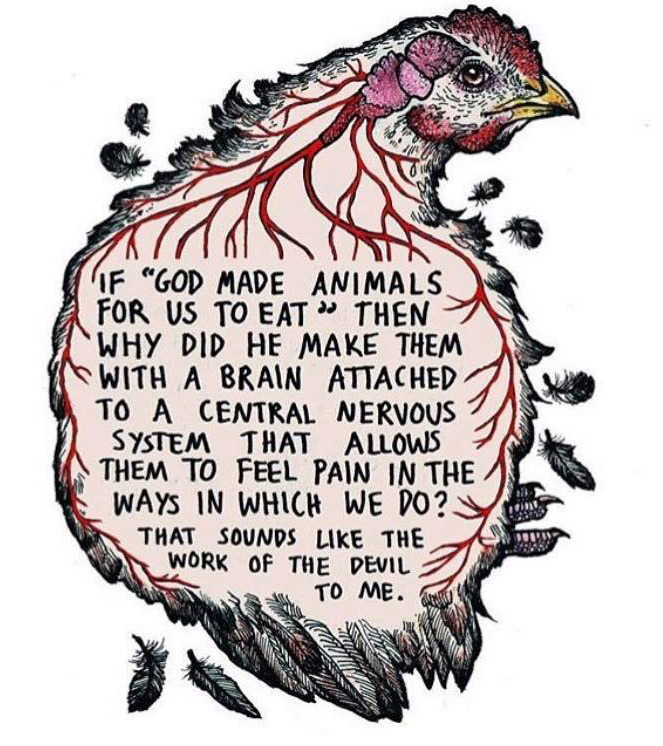 Many people use the verse 1 Timothy 4:3 to try to say that veganism is a “doctrine of demons.” I was in a Christian Vegan group June 2018 and Marcello Newall was discussing this verse and mentioned he’d done a paper on it. This is the 20-page paper. In the PDF Marcello suggests that Paul was writing against the “Gnostics.” I know we know that the Essenes/Ebionites were considered “gnostic” by some but these are not the ones that he suggests Paul’s writing against. But surprisingly these demiurge believers don’t commit suicide. I’m not sure why, as they believe when they die they get to escape this evil world. The early followers of Christ didn’t believe this, they thought he was flesh and creation was good, etc. Another interesting point in this paper is that if we believe that 1 Timothy 4 says it’s a “doctrine of demons” to stop eating meat, then they basically turn YHWH (in Genesis) into a demon for suggesting it was “very good” to not eat animals. The people who use this verse to try to say that it’s evil, end up calling the creator evil, just as the demiurge believers once did, even though the verse itself is probably all about condemning the demiurge belief. Genesis 2:18 And YHWH God said, It is not good that the man should be alone; I will make him an help meet for him. 19 And out of the ground YHWH God formed every beast of the field, and every fowl of the air; and brought them unto Adam to see what he would call them: and whatsoever Adam called every living creature, that was the name thereof. 20 And Adam gave names to all cattle, and to the fowl of the air, and to every beast of the field; but for Adam there was not found an help meet for him. Genesis 1:26 And God said, Let us make man in our image, after our likeness: and let them have dominion over the fish of the sea, and over the fowl of the air, and over the cattle, and over all the earth, and over every creeping thing that creepeth upon the earth. 27So God created man in his own image, in the image of God created he him; male and female created he them. 28And God blessed them, and God said unto them, Be fruitful, and multiply, and replenish the earth, and subdue it: and have dominion over the fish of the sea, and over the fowl of the air, and over every living thing that moveth upon the earth. 29And God said, Behold, I have given you every herb bearing seed, which is upon the face of all the earth, and every tree, in the which is the fruit of a tree yielding seed; to you it shall be for meat. 30And to every beast of the earth, and to every fowl of the air, and to every thing that creepeth upon the earth, wherein there is life, I have given every green herb for meat: and it was so. 31And God saw every thing that he had made, and, behold, it was very good. And the evening and the morning were the sixth day. And the trees and seeds are for humans and animals to eat. The KJV used the term “meat” for veggies, obviously. The word changed definitions since the KJV was translated. Animals did NOT get re-created for the purpose of “food” for humans at any time in the bible. They were always made to be companions. Next post: How Focused Should We Be On the Mistakes of the Past?